With the easy to install Kogan 8 Channel 1080P 1TB Super Compression Security System with 8 Wireless Cameras surveying your property round the clock in HD, you’ll never be left worrying about the security of your home again – no matter where you are. 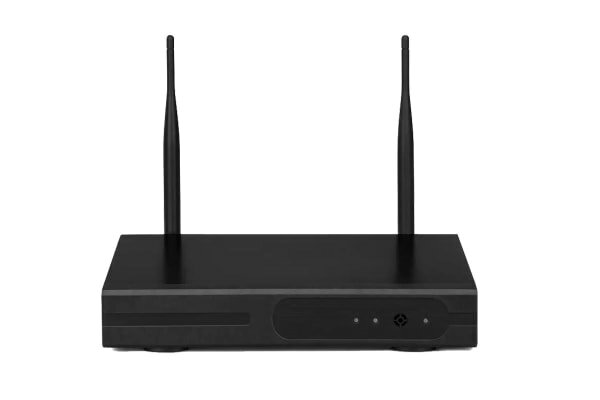 Wi-Fi connectivity gives you the freedom to set up your security system just the way you want, both inside and outside the house. You can also control and monitor the Kogan 1080P 1TB Security System through the smartphone app, putting peace of mind right at your fingertips, no matter where you are in the world. 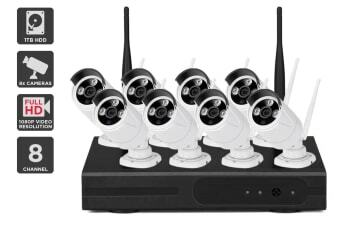 The system comes with 8 cameras thanks to the 8 channel security system, so you can scale your surveillance as needed by purchasing additional camera units. With 1920×1080P video resolution and the ultra efficient H.264+ video compression system, the Kogan 8 Channel 1080P 1TB Super Compression Security System records detailed footage so you can see exactly what’s happening. It comes with 1TB of storage, expandable up to 6TB, offering countless hours of recording. 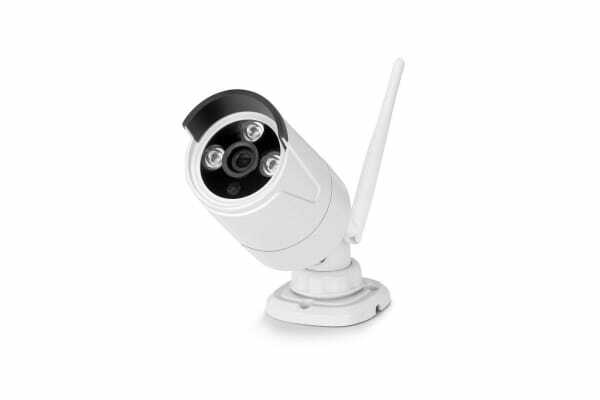 Note: the cameras connect to the NVR over a Wi-Fi network. They are not battery-powered and are powered by an AC adaptor.